As we approach February 14, it seems that several theaters are presenting shows with a theme of love and relationships (including a dating musical at Illusion and a marriage musical by Bucket Brigade). 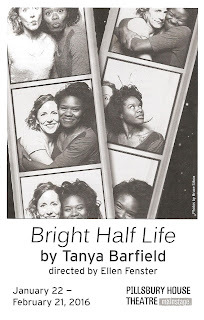 Pillsbury House Theatre's entry into this theme is Bright Half Life. This story of love, marriage, and children between two women spans over 40 years and is told in a non-linear fashion. 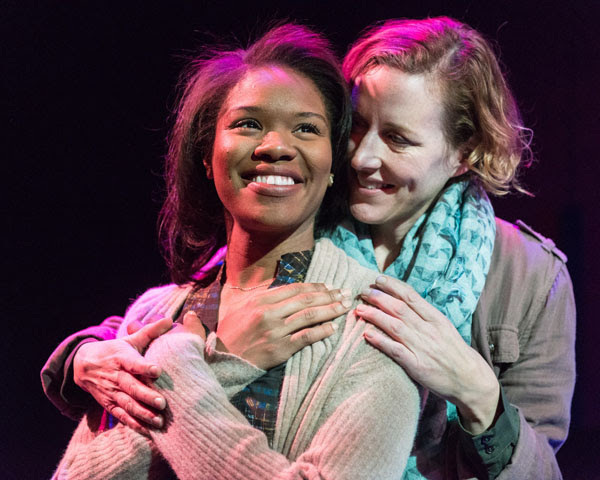 In a short and sweet 75 minutes we watch these women progress through all stages of a relationship in a play that's poignant, engaging, and entertaining. Erica and Vicky meet, get married, have children, and get divorced. Only not in that order, as we see scenes from the end of their relationships juxtaposed with scenes from the early days. Scenes are from seconds to many minutes long. The program says the timeframe is 1985 to 2031, and at first my linear brain was working a little too hard to put things into a timeline. But soon I was able to let go of that and just let the pieces fall into place. While the full exact story of these 40+ years is never revealed, the pieces are enough to color this relationship that is very real in its highs and lows, joys and sorrows. Sarah Agnew and Jasmine Hughes are both wonderful as Erica and Vicky, with a natural easy chemistry. It feels like a real relationship you're watching. Director Ellen Fenster keeps the complicated construction of the story as understandable as it can be, using light and sound (designed by Wu Chen Khoo and Katharine Horowitz) to punctuate and separate the scenes, as well as subtle changes in wardrobe or position on the stage. The story takes place in many varied locations, from a plane to a mattress store, and Joseph Stanley's minimalist and futuristic set provides a blank backdrop that allows the imagination to fill in the setting. 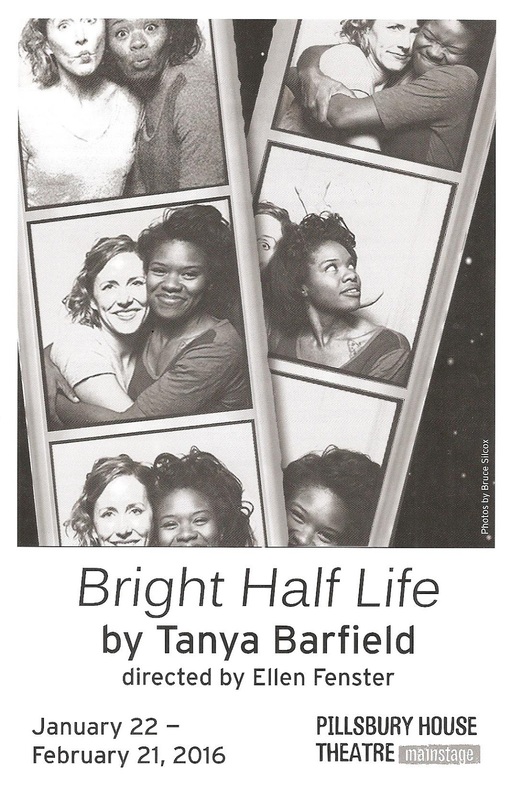 Bright Half Life continues through February 21 in Pillsbury House's intimate and cozy theater space in South Minneapolis. It's short and sweet but takes you through a full and epic journey of love.